From 01/01/2015 new products sold on the internet will require online labels. The online labels are identical to the printed labels. Because often there is limited screen space, the online labels will be visible with a single click or mouse-over event from an icon next to the product details and/or photograph. The icon will be an arrow (pointing to left or right) in the color of the energy class and with the text of the energy class in white. 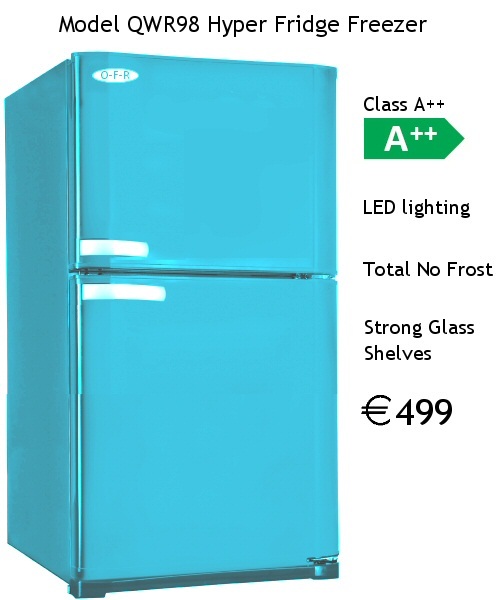 If you click on the green A++ icon you'll be shown the full energy label for this product. Use the back button on your browser top come back to this page. More sophisticated sites can show the label "on the fly" as the mouse cursor hovers over the icon, but this is impossible to do with mobile phone and tablet browsers. Alternatively the label can be shown in a new browser tab. It all depends on your audience and the style of your site. Remember to try the label creation program here.